In the astigmatism, the cornea is not spherical but oval. The light rays are then focused at different points in rear and front of the retina causing a deformation of the image either horizontally or vertically. This results in blurred vision. 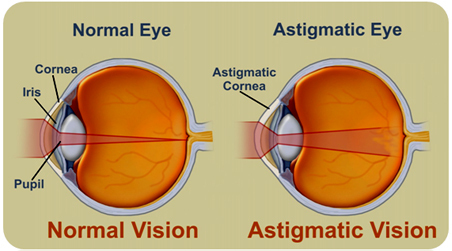 Astigmatism is often found in children immediately. Its development to adulthood is minimal.